As part of this years 3RiversCleanUp London Bubble will be telling stories in the river. 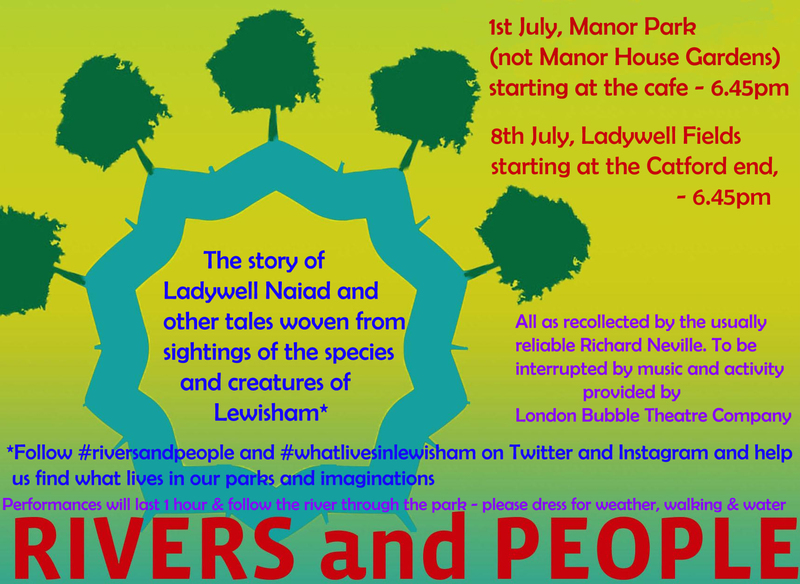 Hear about the Ladywell Naiad and other tales based on the species and creatures of Lewisham. Why not take part by taking a ‘species selfie’ using the #riversandpeople and #whatlivesinlewisham and post them on Twitter or Instgram.